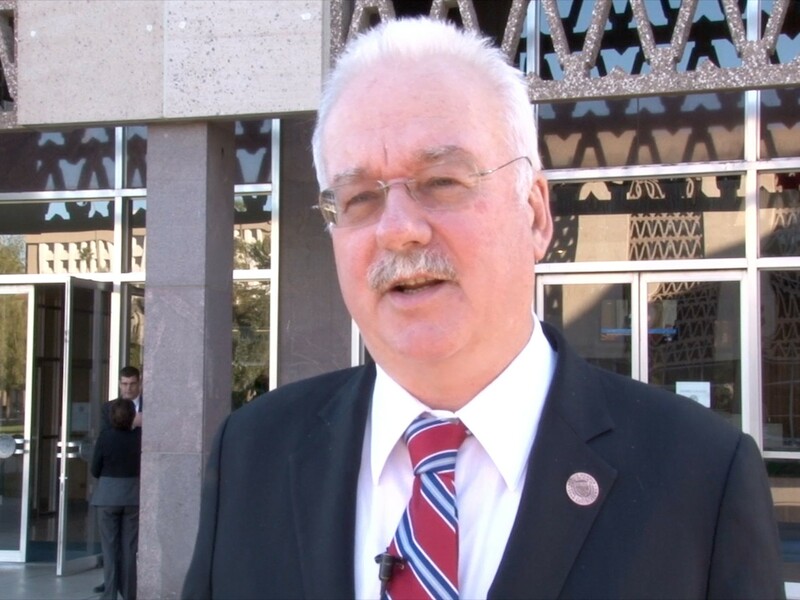 PHOENIX – Having state lawmakers serve terms of four years rather than two would promote responsibility and create better relationships across the aisle, according to a legislator who wants Arizonans to vote on the proposal. “I think four-year terms would give legislators more time to legislate without outside influences distracting them or making the m less responsible to voters,” said Sen. John Kavanagh, R-Fountain Hills. Kavanagh authored SCR 1009, which would put four-year terms matter on the 2016 ballot. The resolution would also limit legislators to serving no more than two consecutive terms in the same office over eight years. With the current two-year terms, lawmakers can serve for up to four terms consecutively. Kavanagh said he has served a total of nine years on two different city councils, one with two-year terms and the other with four-year terms. He said his experience on the latter showed him that four-year terms produce more responsible and knowledgeable representatives. He also said the longer terms provide elected officials an opportunity to establish themselves and build relationships with members of the other party. “There’s less partisan bickering,” he said. Kavanagh’s measure was awaiting action by the full Senate after the Senate Government Committee advanced it Feb. 4 on a 5-2 vote. Sen. Lupe Contreras, D-Cashion, who proposed similar legislation last year, voted in favor. Sen. Martin Quezada, D-Phoenix, who voted against the resolution, said he felt torn because he recognizes how the change would help improve party relations. He said he would prefer to have only one of the houses with longer terms. Sen. Steve Smith, R-Maricopa, who also voted no, said he thinks the system is fine the way it is. Kavanagh, the committee’s chairman, said two-year terms boost the influence of campaign contributions and dark money in the Legislature. “You have twice as many elections as with four-year terms, and this greatly empowers campaign donors, and even dark money people, because every two years they are in play and they’re important,” he said. Extending state lawmakers' terms from two to four years would create more responsibility and better relationships across the aisle, according to a legislator who wants Arizonans to vote on the proposal. "I think four-year terms would give legislators more time to legislate without outside influences distracting them or making them less responsible to voters," said Sen. John Kavanagh, R-Fountain Hills. His legislation has won committee approval and was awaiting action by the full Senate. 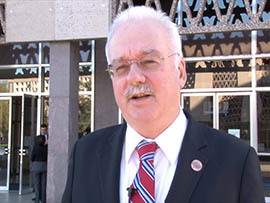 Sen. John Kavanagh, R-Fountain Hills, wants Arizona voters to decide whether to increase terms for state lawmakers from two to four years.